Are you looking for an introduction to a life of adventure? Whether its long distance hiking, trekking, adventure cycling or adventure travel here are the best magazines to inspire and inform you. When I first thought about quitting the rat-race to focus on trying to spend more time in the outdoors, it had been a good few years since I had last slept in a tent or been on some more adventurous trip. So one of the first things I did was go out and buy a bunch of outdoor and adventure travel magazines to feel the pulse of the industry, to see what people are doing and where they are going for their adventures, in this day and age. It was a good 10 years since I had read a gear review so this also helped me to understand how things had moved on and the best things to pack into my rucksack... there was no such thing as lightweight, when I was a lad! Most of the magazines below will offer special rates for new subscribers or allow a one off magazine purchase. They are not listed in any particular order in terms of ranking but I have divided into 4 sections. 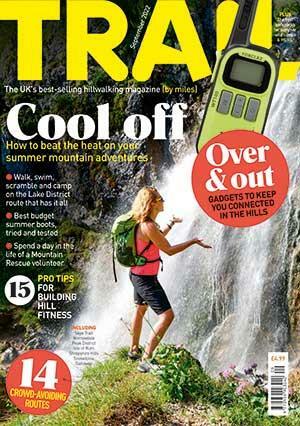 Trail magazine is your inspirational guide - full of routes, advice and reviews. Trail magazine brings the Spirit of Adventure to your home - bringing you everything you need to get out there! Backpacker is an outdoor adventure magazine that focusses a bit more on hiking and wilderness camping than climbing mountains but it has its fair share of peaks and plenty of information for wilderness lovers. Climbing brings you industry news, gear reviews and how-to articles as well as superb photo pieces and stories from the world of trad climbing, alpine climbing and bouldering. Alpinist is the premier magazine for mountaineers and climbers. With amazing photos and stories from all the world's mountain regions it celebrates the best feats, reviews the best gear and inspires people with the spirit of adventure. Climber is a monthly magazine dedicated to providing the most topical and detailed coverage of the whole climbing scene. Written by climbers, for climbers, each issue is packed full of stunning photography, and features on UK and overseas climbing. 'All Travel, All the Time’ is the edict of National Geographic Traveller and the UK edition is no exception. One of the most widely read magazines in the world has its very own UK voice so why not find out what it does so well? Himalaya Travel Magazine takes you on an amazing journey through the greatest mountain range on the planet. It is the only travel magazine in the world that is dedicated to the Himalaya and India! Wanderlust is a magazine for those who are passionate about travel, each issue features infomation that will ensure every trip you make will be an experience you will never forget. 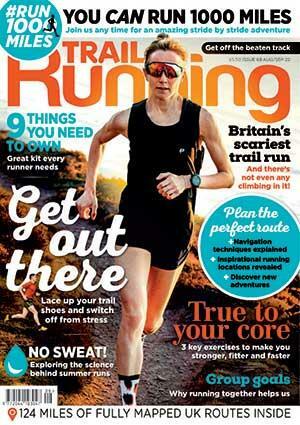 Trail Running magazine is the UK’s only magazine dedicated to off-road running, so if you’re fed up with pounding the pavement next to the traffic, breathing in fumes, or sweating away on a treadmill, this digital magazine will get you running in the fresh, gorgeous UK countryside. Trail Runner magazine covers the world of off-road, mountain running and adventure racing from the flat to the Ultra Tour of Mont Blanc. Its packed with features, photos, details info. on techniques and gear reviews. Everything you need to know is in here!